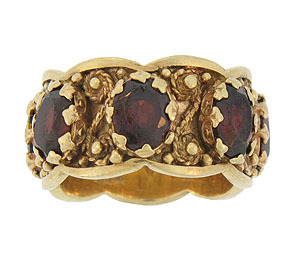 This sparkling 14K yellow gold scalloped wedding band is set with seven oval faceted garnets. 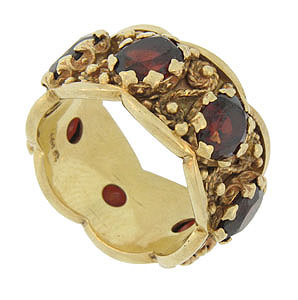 The deep crimson stones are set into crown shaped mountings and separated by twisting strands of gold detailed with distinctive milgrain decoration. 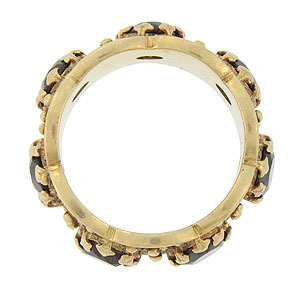 The vintage wedding ring measures 12.83 mm in width. Circa: 1950. Size 9. We cannot re-size.